Giving community pharmacy a health check: how are we doing as a healthcare sector? Mark Burdon is an independent community pharmacy contractor and chairman of the Pharmaceutical Services Negotiating Committee’s resource development and finance subcommittee. You do not have to own a community pharmacy to know that times in the nation’s most accessible healthcare locations are not exactly easy. In a world in which prescription volumes have risen by 50 per cent in a decade,1 commissioners and patients still make ever more demands. NHS budgets need to be squeezed by some £20bn,2 and we are told we absolutely must prove the value our profession offers if we are to have any role in the future health service. Some days it feels like a fight for survival. But if ever there has been a time to give that fight our all, it is now, because we have just been given our biggest opportunity yet to shape our future in the form of NHS England’s “Call to action” (PJ 2013;291:618). The results from this will be used by the primary care commissioner to shape our role in the health service for years to come, so it is vital that all community pharmacies have their say. At the Pharmaceutical Services Negotiating Committee we have spent a lot of time thinking about what community pharmacy’s role could be in the future and we set this out in our vision narrative published last summer, in which we detailed how pharmacies could help patients to take their medicines properly, lead healthier lives, live independently and more. But how close is pharmacy to realising that vision? To answer this question it is useful to carry out a SWOT analysis, identifying strengths, weaknesses, opportunities and threats. Starting with the good news, community pharmacy has many strengths. We are the most accessible health professionals in the UK, providing advice, care and support to millions of patients daily. We also dispense a vast number of prescriptions. In 2012–13, pharmacies in England dispensed more than 914 million prescriptions, up 3.3 per cent on the previous year and 53.3 per cent since 2003–04.1 Even taking into account the increase in pharmacy numbers over that time, it has felt like a huge increase in work and, yet, all the while accuracy and safety have remained our priorities and we have saved the NHS more than £7bn since 2005 through efficient procurement. The results speak for themselves in the reactions we receive from grateful patients all the time and in the findings of almost any patient satisfaction survey you care to choose. In a recent example, the evaluation of the healthy living pharmacy pathfinder programme last year showed that, of more than 1,000 patients surveyed, 98 per cent said they would recommend the pharmacy services they had received.3 Local service evaluations whether for influenza vaccinations, smoking cessation or any other services have achieved similar results. Although we can proudly count service delivery as a strength, we must also include services in our weaknesses because we do not have consistency in offering or performance across the sector. Consider MURs — a nationally commissioned service that has been available to pharmacies since 2005. Yet in a survey last year the PSNC found that delivery levels still varied hugely. Of the 1,080 pharmacy owners surveyed, more than one-third (34 per cent) were doing fewer than 100 MURs annually. And not all pharmacies are giving patients the right impression either. At our PSNC engagement event last year, one influential patient representative commented that most pharmacies still looked like shops, not healthcare locations. At the recent local pharmaceutical committee conference, LPCs were also clear that pharmacies’ failure to deliver local services to high levels and standards across the board remained a key challenge. In some pharmacies it may be sparked by a professional reluctance to let staff take over core tasks to free pharmacists’ time while, for others, it seems to be a genuine lack of interest in services. Both are weaknesses, for although we have some excellent pharmacies delivering brilliant care, the inconsistency means the public are confused about what we offer, other professionals are not confident in us and commissioners are nervous about investing in us. This leaves the sector vulnerable. If we rely solely on dispensing for our income we will almost certainly see that income dropping because the Government continues to apply pressure on the health service to make savings on the drugs bill and in all areas. We need services to help us to diversify our income streams, give patients a reason to keep coming to us, and to deliver patient benefits so that the Government cannot afford to have us anywhere other than at the heart of its health service. Of course, like most sectors, we can make good excuses for our failings. Respondents to the PSNC and other surveys confirm that services do not have adequate funding, that commissioners are not playing ball, and that there simply is not demand for services. But a failure to recognise those areas in which we ourselves also need to improve is another weakness. Unless we can take an honest look at ourselves as our patients and the NHS see us and make improvements where they are needed, we will struggle to persuade the NHS to invest in us. But our weaknesses give us opportunities to improve and I strongly believe that the opportunities we have before us now mean we can be as optimistic about our futures as we have ever been. Our health service is flailing and there is so much we can do to help. For example, take the £300m spent on medicines that are not used correctly each year7 which we could minimise; the patients with minor ailments who we could treat, saving accident and emergency visits and some £2bn in GP consultations8 to reduce the burden on our colleagues, or even the £3,500 we could save for every asthma patient who is not using his or her inhaler properly and would be admitted to hospital as a consequence without our intervention. We also have a chance to look beyond the NHS to the whole new set of public health commissioners in local authorities. It is clear that, to reduce the pressures on urgent care services, we need people to stay healthier for longer and, as the most easily accessible healthcare locations, community pharmacies would be the best places to do this through a combination of health programmes, services and advice. We have the evidence. We must now make sure we do not miss any opportunities to sell the case to commissioners and what better time to do that than as our national commissioner, NHS England, works to devise its primary care strategy for the future? But although we have some big opportunities ahead, we also have some even bigger threats to see off. Ongoing improvements in technology combined with increasing pressure on the NHS to make savings could cause significant problems for the sector. As many PSNC colleagues and I have said before, dispensing income will not be immune from the cost-saving requirements the Government is imposing across the NHS. There is therefore a real risk that, if pharmacies continue to rely solely on dispensing rather than demonstrating the value that they can bring to support that medicines supply function, for example, by coupling it with other services to improve patients’ adherence and health, then they will see their income drop to unsustainable levels. As technology develops, other providers may also find cheaper ways to deliver the core supply function that will appeal to a cash-strapped NHS. Unless we can show the value our professional face-to-face brings, commissioners could look to support a supply-only service, which could be delivered in other ways or by fewer pharmacies. We must ensure that our patients want to visit our pharmacies to obtain our comprehensive services. Of course linked to this is the threat that the NHS itself will simply decide not to invest in community pharmacies as service providers in any big way and that could lead to a downward spiral as decreasing contractor confidence and engagement with services leads to ever decreasing investment. We have also seen the effects that the efficiency targets being demanded by the Treasury have had on our GP colleagues and, if investment in community pharmacy goes in the same direction, some businesses, particularly those that have not built up any sort of an offer around the dispensing function, could find themselves at serious risk. And it is not just the Government we need to convince of our value. With budgets tighter than ever we may find ourselves in competition with other healthcare providers for money. In many areas our relationships with GPs are particularly weak, and if we cannot convince doctors that we can be a real help to them in helping their patients, we cannot expect them to support the NHS in directing funding towards our pharmacies. But all threats can be planned for and risks minimised and that is exactly what the PSNC is trying to do. We are working to gather the evidence and to convince commissioners, politicians and other professions of the value that pharmacy can offer and the need to make pharmacies “a third pillar of care” within the NHS, to support secondary and GP-led primary care. We can lead this at a national level but, at a local level, we need every community pharmacy to take any opportunities presented and to take responsibility for their future as well. So keep on trying with services and gathering evidence for what you do; keep going that extra mile for patients; respond and encourage others to respond to the “Call to action”; and help your LPC to keep your services commissioned. If we can rely on everyone to play their part, I believe we could have some good years ahead of us but, if we cannot, then pharmacy is likely to feel the pain of our struggling health service as acutely as everyone else. General Pharmaceutical Services in England 2003–04 to 2012–13. Available at: www.hscic.gov.uk (accessed 21 January 2014). Making the NHS more efficient and less bureaucratic. 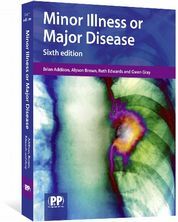 Available at: www.gov.uk (accessed 21 January 2014). 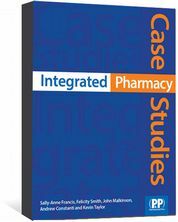 Evaluation of the Healthy Living Pharmacy Pathfinder Work Programme 2011–2012. 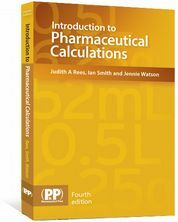 Available at: psnc.org.uk (accessed 21 January 2014). NHS BSA new medicine service data. Available at: psnc.org.uk (accessed 21 January 2014). Evaluation of evidence provided by PharmOutcomes new medicine service data. 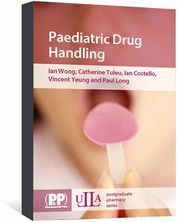 Available at: psnc.org.uk (accessed 21 January 2014). PSNC evidence award entry. 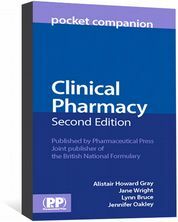 Available at: psnc.org.uk (accessed 21 January 2014). Evaluation of the scale, causes and costs of waste medicines. Available at: discovery.ucl.ac.uk (accessed 21 January 2014). Making the case for the self care of minor ailments 2009. Available at: www.selfcareforum.org (accessed 21 January 2014). Calling community pharmacy to action: where should the sector be heading?